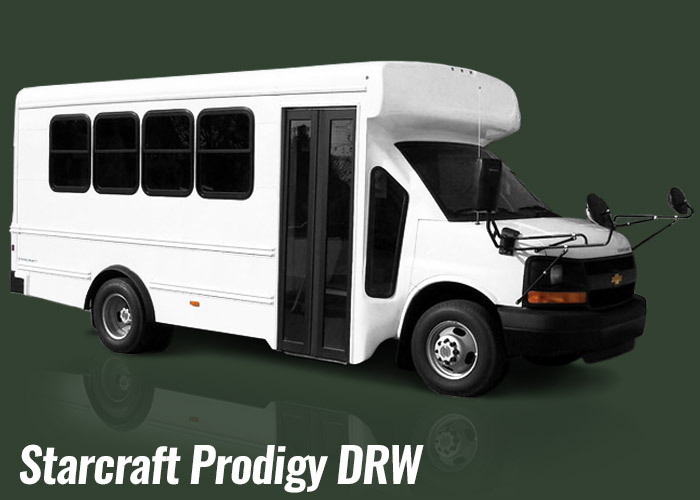 The Starcraft Prodigy DRW (Dual Rear Wheels) bus is classified as an M.F.S.A.B. which means a Multi Function School Activity Bus. This bus is most often purchased by day care centers and churches whose states require stricter standards for transporting small children. The Starcrat Prodigy is very similar to the Quest, also made by Starcraft for public schools, but does not have the extra mirrors and the additional marker lights. Another obvious difference with the Prodigy is that it is white instead of the standard yellow color seen on school buses. As always, check with your state DMV for transportation requirements when transporting small children. 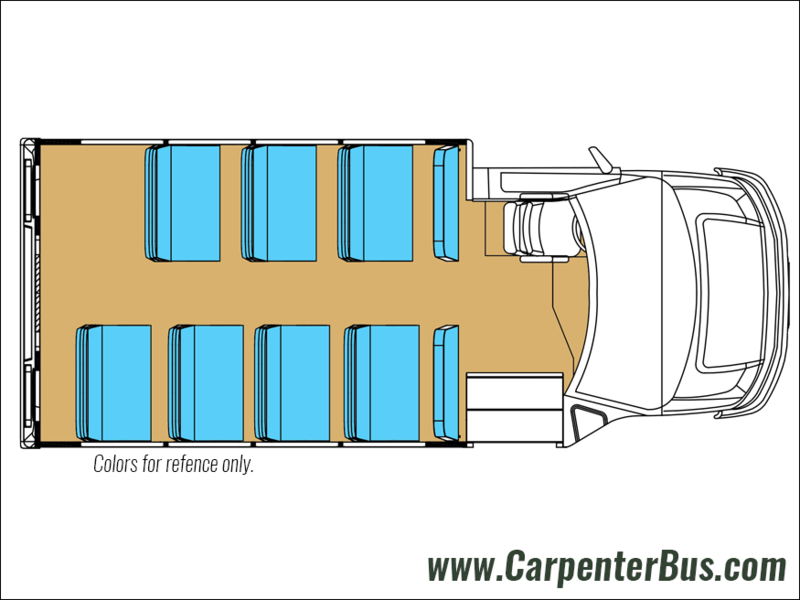 Like other Starcraft models, the Prodigy is built with a welded steel cage construction as well as the longest list of standard features in the entire bus industry. The warranty on the Prodigy is also the most comprehensive as well. The Prodigy comes with a one piece roof on top of it’s steel cage construction and meets or exceeds all FMVSS school bus standards. The Starcraft Prodigy can be built on the Ford E Series or the GM 3500 chassis.